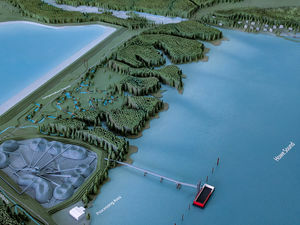 1:1200 model of proposed quarry project. 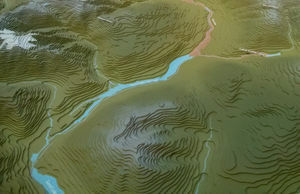 Careful attention was paid to accurately represent both the natural features that the bordered the quarry as well as the industrial elements of the quarry operations. 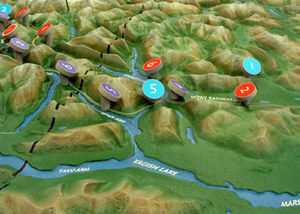 With removable inserts showing underground extent of Giant and Con Mines. Commissioned by the Giant Mine Oversight Board. 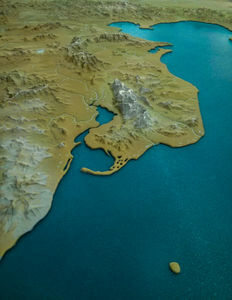 Scale: 1:2500 Client: David Nairne & Assoc. The model is constructed in two parts and painted to show interior layers. 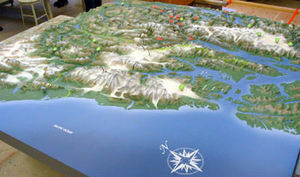 This model is used as an exhibit and education tool at the Parks Canada Western Arctic Field Unit. A pingo is an earth-covered ice eruption phenomenon found in the Arctic. 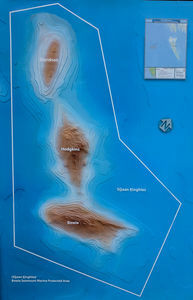 The name comes from the Inuit word for "small hill". 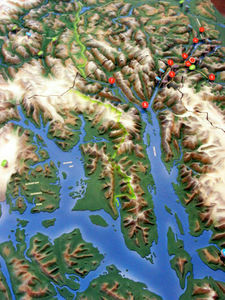 This is a 6’ hexagonal topo model of a wilderness area in Alaska. 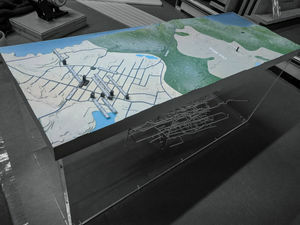 The model is intended as an orientation tool for visitors and will be displayed in a glass case. 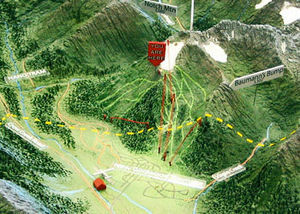 It is designed to be viewed from all sides and has over 60 labeled features. This model features contour-smoothing and hand-tooling to acheive the final result. 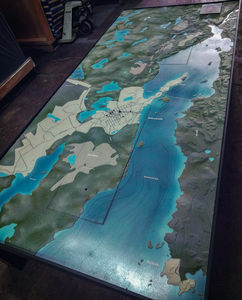 This is a 6’ by 6’ topo model of an area in the north of the province of BC. 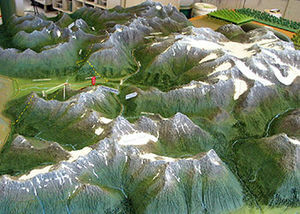 The model is displayed outdoors during the travel season and taken indoors during the winter. The model was contour cut in high density foam then smoothed and sealed. That part was then used to make a fiberglass female mold, and that mold was used to cast a fiberglass model. The model was painted, labeled, and clear-coated for its intended outdoor use. 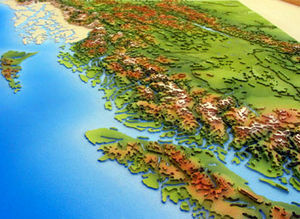 This is a 3’ by 5’ topo model of the province of BC. 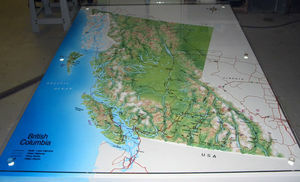 The roads and other information are on a glass sheet that hangs a ½ inch over the model then the whole assembly is displayed in a glass case.